I’m thinking a lot about the act of reading these days. Thinking that it depends on the stage one’s in. And now I’m sensing a new stage in the air. I’ve grasped the fact that I won’t catch up; I really know it, I mean, and it’s okay. The questions I’m asking are: what do I want from my reading now? and what does this mean for my reading habits? I think what I want takes me back to what reading gave me especially in childhood: pleasure, discovery, and the inherent safety of story itself. With one important difference: not just anything will do. As far as habits are concerned: 1—I’m continuing my book log, but in addition to basic information about the book, I’m writing more reflectively about what I’ve just read. 2—I’m no longer numbering the books in my log. I realize this is a bit of a hair shirt I’m wearing here, because of course I can go back and count at year’s end. But it reminds me it’s no longer about how many books I get through, and though I felt a pang the first while at not setting the numbers down—yes, strange as it sounds, I did—the un-numbering has been curiously effective in releasing new priorities. Don’t get me wrong: I think setting reading goals is a terrific idea at times. But for now I’m enjoying the exploration of something different. The result so far has been an up-surge of joy in the journey, akin to the idea of serendipity expressed in my previous post. This entry was posted in Reading and tagged book log, reading, stages of reading by doradueck. Bookmark the permalink. I just got an iPad and since I got it I’ve hardly held a book in my hands! I’m reading, but not books. They are calling to me to come and hold them and sit with them, and I will, but right now I’m on the iPad! Oh Elfrieda, you make me chuckle! You’re so right! I must say I did read the paper this morning while waiting for an appointment. Got my fingers all black and smudgy too. That doesn’t happen with an iPad! Saw lots of people texting while I was waiting, but I also saw happy children and their parents relating to each other rather than being glued to their device, and that was comforting. But you–Shirley–were certainly focused in your years of 100 memoirs! Perhaps you’ve spoken of this on your blog and I missed it, but what kinds of things do you find yourself reading these days? Still memoirs? — Yes, I so love the photo too, that look of concentration. When I was thinking about a photo to go along with the post, I realized that I didn’t have much to choose from. Reading is not much photographed. Hello Dora. I’ve decided to join the conversation. 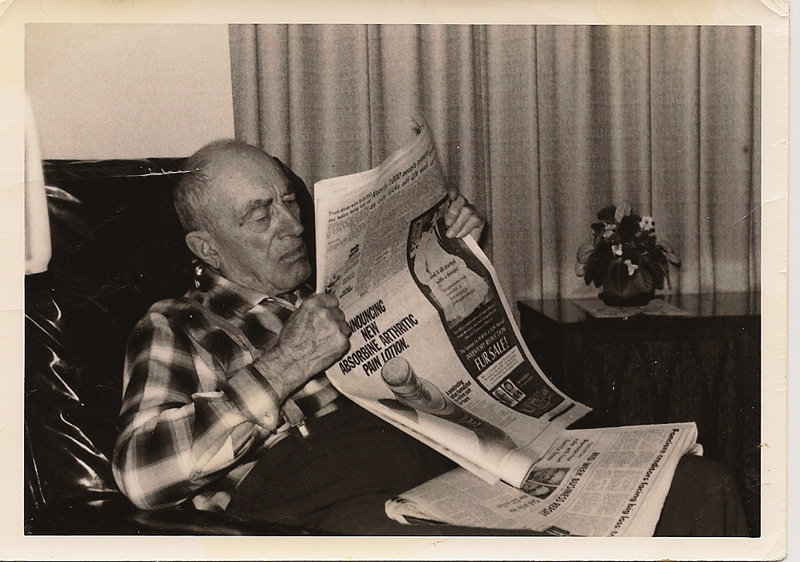 I enjoyed your thoughts on books and choosing books–loved the photo of your Grandfather Harder reading, which reminded me of that equally wonderful photo of your granddaughter surrounded by her books–another intense reader! I, too, have been noticing a change in my relationship to reading–just the most recent change, really, in a progression from the omnivorous, voracious reader addicted to print in any form to the selective, choosy person I am now. –This latest change? The complete loss of addictive reading. Time now feels too valuable for that. I’ve reached the place in my life where I want to stay in my own world, taste it, feel it. I enter other people’s words and worlds very carefully now. And serendipity definitely plays a part in finding which books I choose–a process that does feel like books choosing me, an action of the Spirit that is greater than myself. Thank you so much for joining the conversation, Loretta. I’m fascinated by your latest change–and your beautiful description of it– and how it overlaps with mine–“selective, choosy”–but is also further somehow — “The complete loss of addictive reading.” I’m not there yet. Would you agree that this is a function of age, or do you see it tied to something else? Definitely a function of age. I have to admit that I miss my old reading-addict self at times. This change is not a universal experience, nor is it a true ‘virtue.’. My very good friend, eight months older than I am, is still enthralled by books, a voracious reader whose enjoyment of almost any book has been a real gift in her long battle with pancreatic cancer. Her face still lights up when she sees the NY Times book reviews. What a blessing!